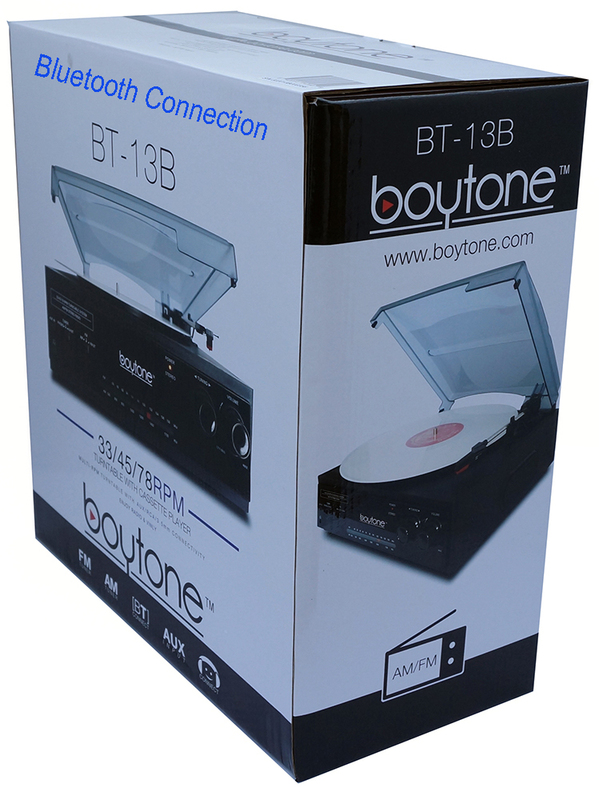 Boytone BT-13B 3-speed record player turntable with Bluetooth connection, 2 built in speakers on the said that project great sound! 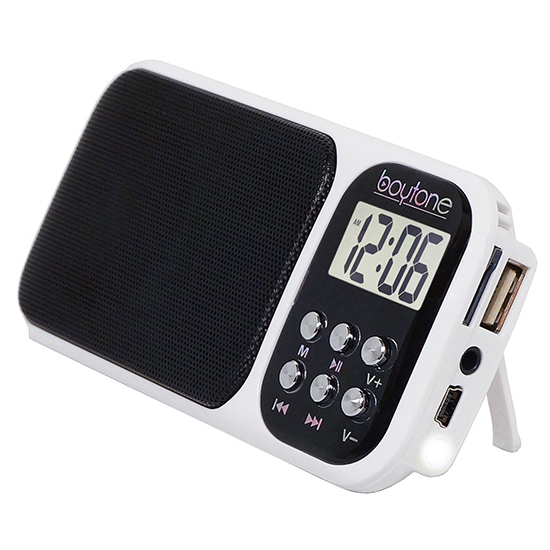 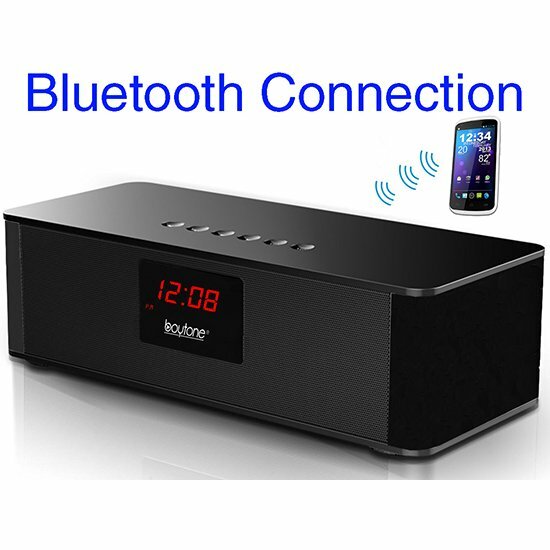 Additional features include external RCA speaker output jacks, 3.5 mm stereo headphone jack, power indicator and dust cover. 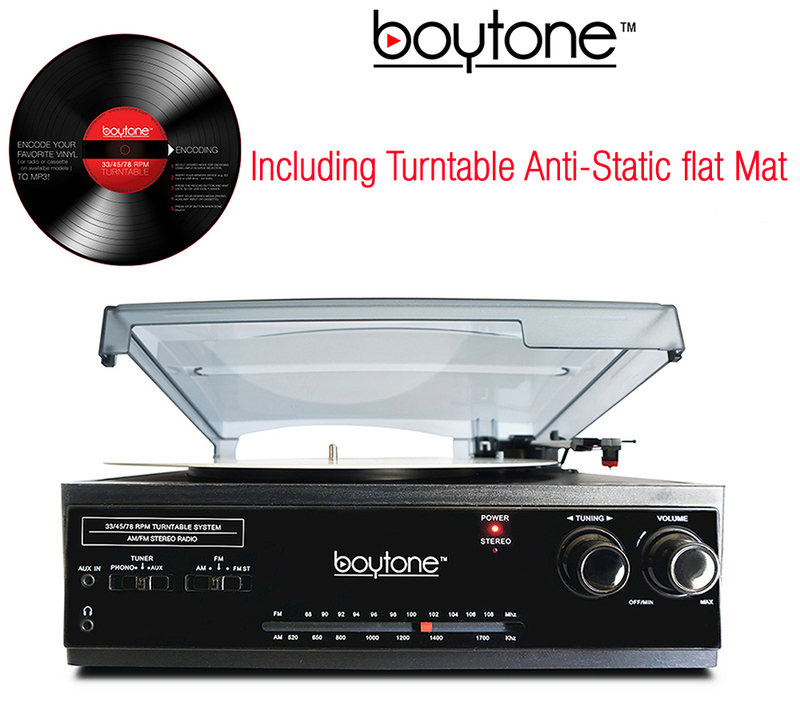 With AM/FM stereo radio Boytone BT-13B is belt-driven turntable spins 7, 10 or 12-inch records at speeds of 33, 45 & 78 RPM- 45 rpm adapter included so you can enjoy your vinyl. 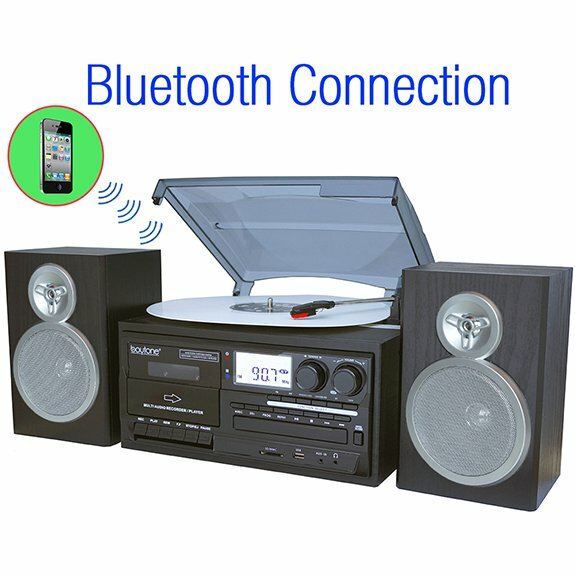 Even Turntable Anti-Static Felt Mat comes with Bluetooth turntable. 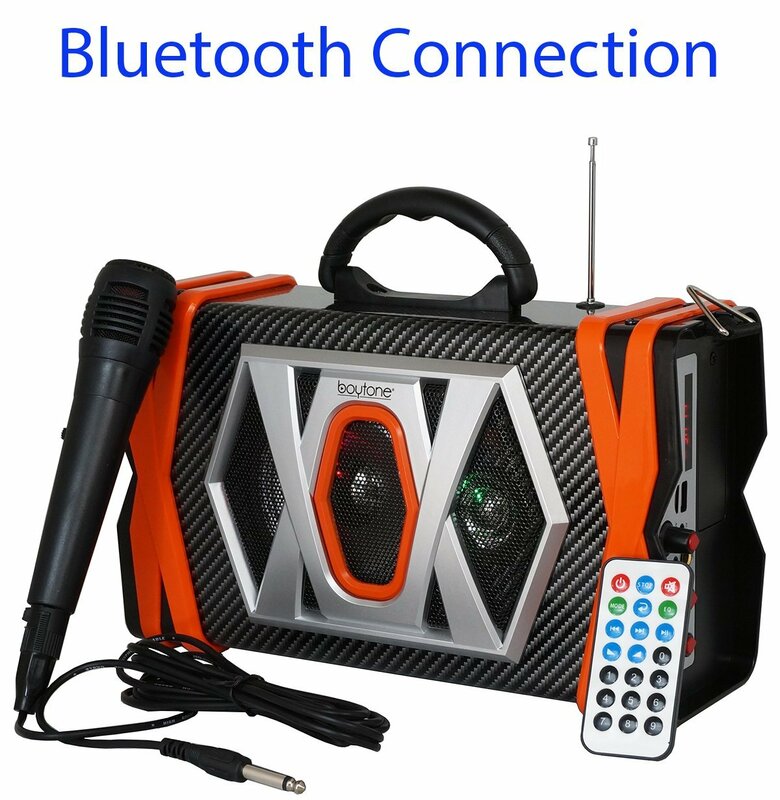 Unit comes with gift box. 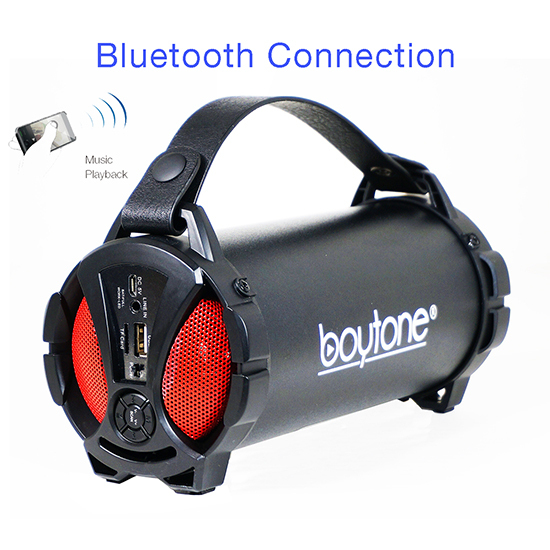 1 Year direct Boytone USA warranty. 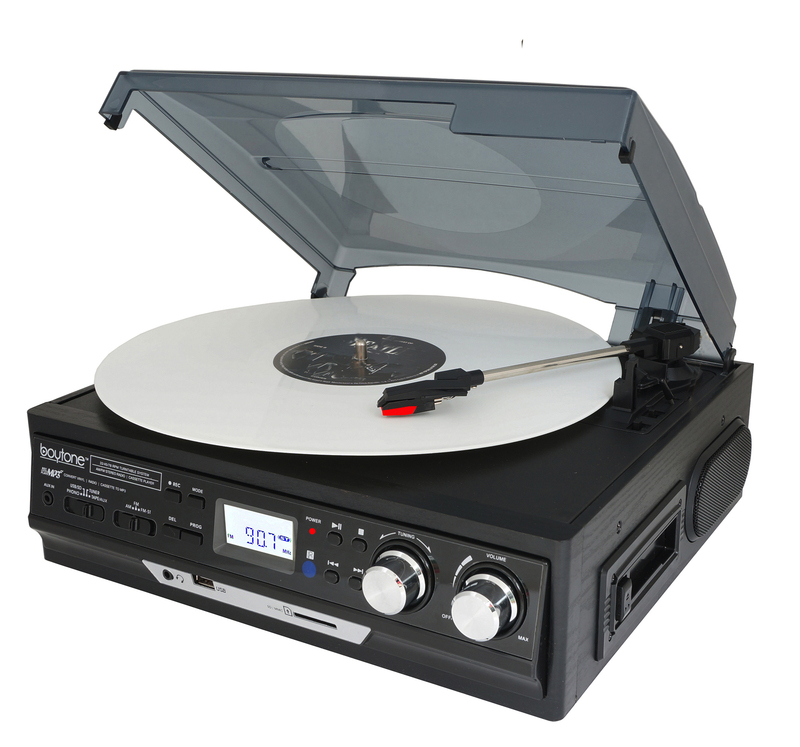 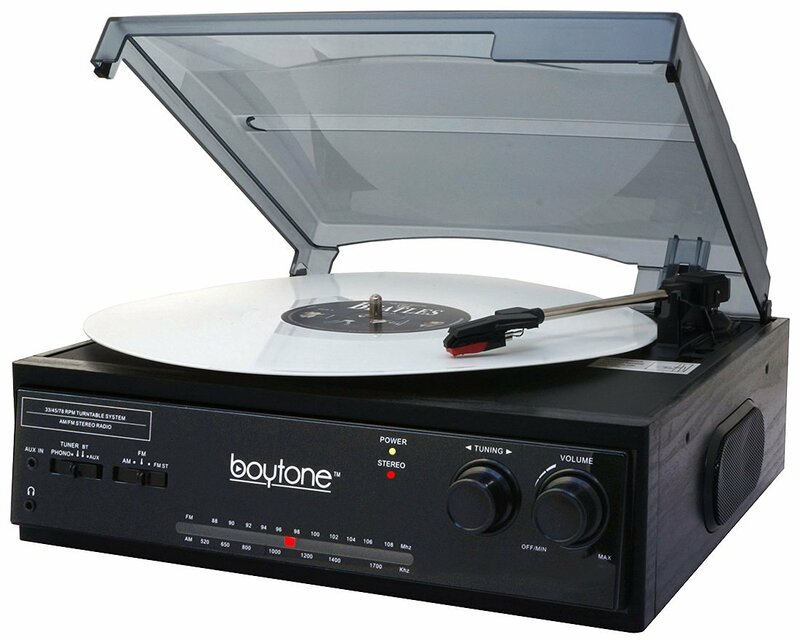 Boytone BT-13B, with AM,FM radio Bluetooth Connection, belt-driven turntable spins, 7, 10 or 12-inch records at speeds of 33, 45 & 78 RPM so you can enjoy all the records. 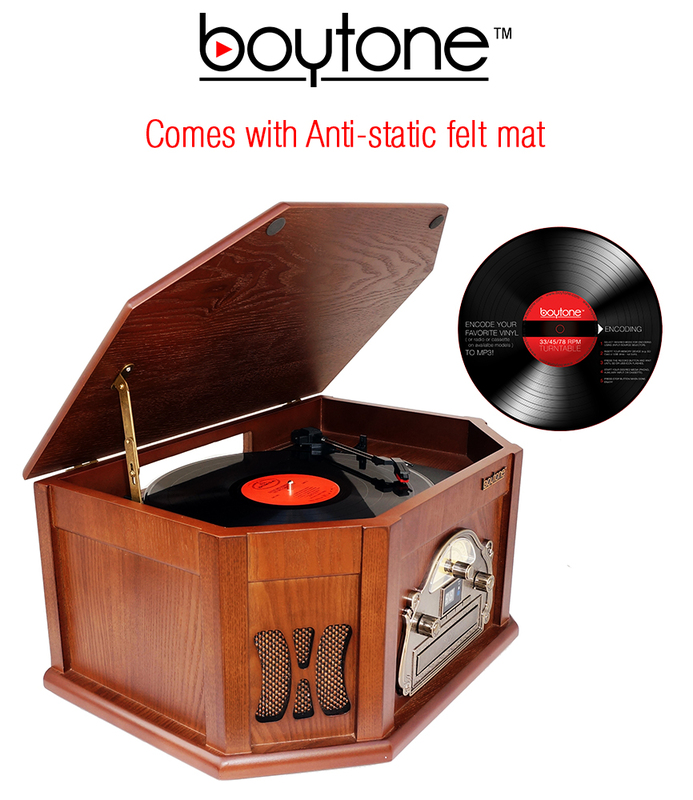 Including Turntable Anti-Static Flat Mat.